Twenty-six began the day and one remains: Nick Kost has taken down Event #14: $1,500 Limit Omaha Hi-Low here at the 2014 World Series of Poker. 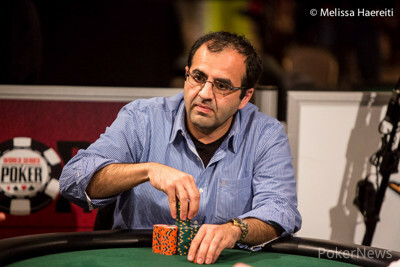 He'll claim $283,275 in prize money, as well as a priceless WSOP gold bracelet. It took a smidge over 10 levels, but on the very first hand of Level 11, Kost busted runner-up Kal Raichura in a three-bet pot by rivering a flush in a pot where neither qualified for a low. Kost also had to overcome a stiff challenge from defending champion Calen "Big Wheel" McNeil, whose title defense was about as worthy as they come before being halted in fourth place. Former Main Event champion Greg Raymer also put together a final table run, but he busted in seventh. 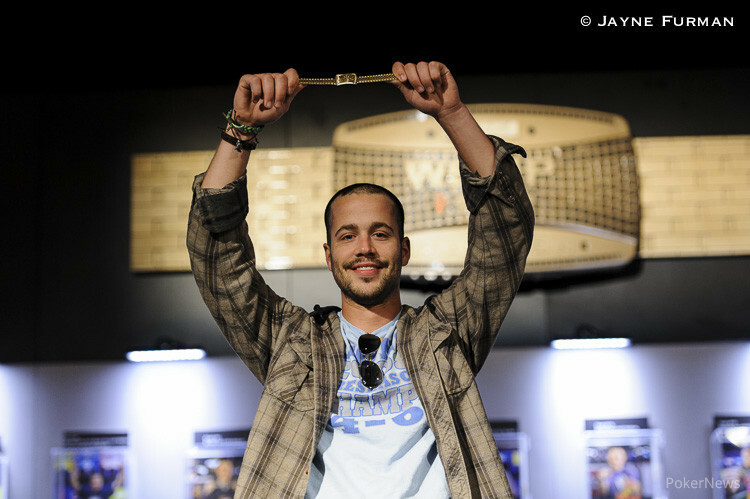 Bracelet winners Chris Tryba and Frankie O'Dell also made Day 3 appearances before falling relatively early. Kost came in with a mere $15,815 in live cashes, but his Omaha Eight-or-Better prowess had already contributed to two of his cashes: a ninth-place finish in different Omaha Eight-Or-Better tournament and a fourth-place finish in a seven-game tournament, both at the 2011 LAPC. Thanks for tuning in to coverage of another great WSOP event here on PokerNews. Nick Kost raised the button, and Kal Raichura three-bet. Kost called, and the flop came . Raichura bet, Kost raised, Raichura put in three bets, and Kost made it four bets. Raichura called, then bet the turn. Kost's turn to call, and then Raichura put the last of it in blind on the river. Kost quickly called, standing up as he slapped onto the felt for a queen-high flush. "Nice hand," Raichura said, briefly exposing before the dealer swept it up. Kost and Raichura are taking a quick 10-minute break. Kal Raichura had pulled back to even but Nick Kost just took down a nice pot where he hit a flush with on a board. Raichura called bets on the flop, turn, and river and would muck his hand and say "that's good" after seeing Kost's cards. Kal Raichura limped in, and Nick Kost checked. Kost check-raised the flop, and Raichura called. Raichura called the turn and river. Kost showed for a straight, but Raichura had flopped an identical straight with and gone runner-runner flush. 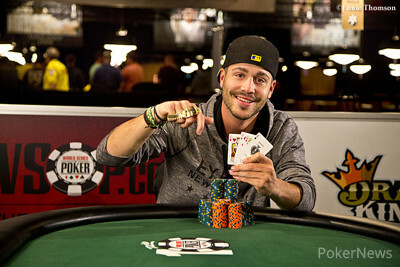 Nick Kost has won a series of pots without a showdown to assume a better than 2:1 chip lead over Kal Raichura. Nick Kost has evened things up after taking down a good sized pot off of Kal Raichura when he check-raised a flop, was called, bet the turn and bet again. Raichura would call and then fold to Kost's bet on the river. Kal Raichura called a raise before check-raising the flop. Nick Kost came back with a three-bet, which Raichura called. Raichura then check-called the turn before both players checked the on the end. Kost tossed into the middle for two pair, but Raichura had caught a flush with .